Bookclub will meet this month on January 7th at 1:00 p.m. in the library workroom. 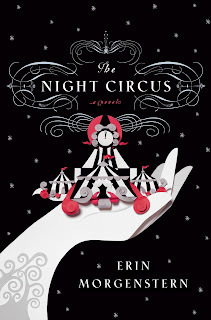 We will be discussing The Night Circus by Erin Morgenstern. All are welcome and books are available at circulation dor a $3 return postage fee. Many Christmas celebrations will begin this weekend. Don’t forget to pick up a Christmas movie to share with family and to keep the kids entertained! Here’s a sampling of available titles that are currently on the shelves and ready to go. Give us a call, and we’ll hold them behind the desk for you to pick up! Thomas and Friends Merry Winter Wish: Thomas has a special delivery for the season — the Star of Knapford, a festive light that makes wishes come true! Celebrate the holiday season with Thomas — from building snowmen, preparing holiday surprises, and celebrating a Misty Island Christmas party. The more friends the merrier, so join the fun and see that winter wishes do come true with Thomas & Friends™! A Christmas Carol: From Walt Disney Pictures comes the magical retelling of Charles Dickens’ beloved tale — Disney’s A Christmas Carol, the high-flying, heartwarming adventure for the whole family, starring Jim Carrey. When three ghosts take penny-pinching Scrooge on an eye-opening journey, he discovers the true meaning of Christmas — but he must act on it before it’s too late. Complete with spirited bonus features, this exhilarating and touching Disney classic is destined to be part of your holiday tradition, adding sparkle and heart to all your Christmases yet to come. The Christmas Toy: Celebrate the thrill of Christmas in Jim Henson’s award-winning film. This critically acclaimed adventure takes place on the night before Christmas – when all of the toys magically come to life. But when Santa delivers his presents, some of last year’s toys are fearful of being replaced. Lead by Rugby the Tiger, the old toys venture from the playroom to meet their new friends under the Christmas Tree. Experience the magic of Christmas in this classic Jim Henson adventure filled with fun, music, and laughter. Dr. Seuss’s How the Grinch Stole Christmas: Every who down in Who-ville likes Christmas a lot, but the Grinch who lived just north of Who-ville did NOT! So the cuddly as a cactus Grinch (with termites in his smile and garlic in his soul) tries to wipe out Christmas for the cheerful Who-villains, only to discover: maybe Christmas, he thought doesn’t come from as store. Maybe Christmas perhaps means a little bit more! Magnificently narrated by Boris Karloff and animated by cartoon legend Chuck Jones, it’s an award-winning Who-roast-beast-feast of a holiday classic! Frosty’s Winter Wonderland: Frosty the Snowman’s marriage is threatened by jealous Jack Frost. Includes “Twas the Night Before Christmas” in which a little mouse offends Santa Claus and must work to make amends so his entire village won’t be passed up on Christmas Eve. Christmas time is upon us – a time for family, friends and food. So, why not stop in and pick up a Christmas book or two to share with the kids this Christmas – they won’t be due back until next year! Below is a just a small sampling of our Christmas collection – I picked out a few of the favorites I have run across over the past years. Each would make a perfect bedtime story on Christmas Eve, or anytime in between then and now! Father Christmas by Raymond Briggs (creator of The Snowman): Meet Father Christmas – a very human gift-giver with a tough job to do. You’ll find out that he sometimes gets a little grumpy living at the icy North Pole and squeezing down chimneys, but he more than makes up for it in heart and humor. Raymond Briggs brings this endearing character to life in over 100 wonderfully illustrated vignettes that follow the adventures of Father Christmas on his big night of the year. The Magical Christmas Horse by Mary Higgins Clark with paintings by Wendell Minor: Johnny’s Christmas wish has come true! The family will be together for Christmas at his grandparents’ home in Connecticut. He can’t wait to give his little brother, Liam, the wooden horse he rode when he was Liam’s age. When the family arrives at his grandparents’, everything is just as Johnny remembers it – except the wooden horse, which is broken, seemingly beyond repair. How can Johnny make this the Christmas he hoped for? 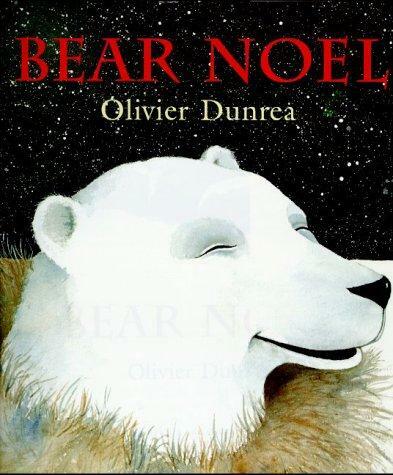 Bear Noel by Olivier Dunrea: As Christmas approaches, the animals of the north woods tremble with excitement. Bear Noel is coming! He strides toward them with his gift-laden sack, while they roll and romp in the snow, waiting. It is Christmas Eve, the one night of the year when a hare and a wolf, a fox and a boar, a hedgehog and a possum, an owl and a mole can gather peacefully, in the spirit of the happy holiday. Olivier Dunrea’s gentle story about the advent of Christmas and his exquisite, snow-filled pictures evoke all the warmth and wonder of a magical time. Olivia Helps with Christmas by Ian Falconer: Christmas is coming, and Olivia is incredibly busy. She has to wait for Santa, make sure dad sets up the tree, wait for Santa, watch mom make the Christmas dinner, wait for Santa, oversee the care with which the stockings are hung and, of course, OPEN HER PRESENTS! Do you see how hard it is to be so helpful during the holidays? Santa Claus: the world’s number one toy expert by Marla Frazee: How does Santa know how to match the exact right toy with the exact right kid every December? He knows because he’s the world’s number one kid and toy and gift expert, and he works long, long hours the whole year through, taking notes, compiling his research, thinking and testing and changing his mind. Then, at last, he gets it all figured out, and on Christmas morning, he makes magic happen. 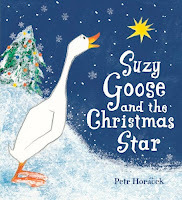 Suzy Goose and the Christmas Star by Petr Horacek: It’s Christmas Eve, and Suzy Goose and her friends are admiring their beautifully decorated tree. It’s perfect except for one thing: a star for the top. But Suzy sees just the right one, high in the sky, and no one can stop her from trying every possible way to get it! Bold, expressive illustrations follow the charmingly single-minded goose in a new adventure, a tale of seasonal magic found in surprising places. 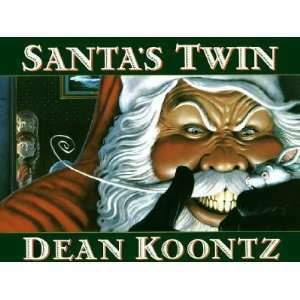 Santa’s Twin by Dean Koontz: One of my very very favorite Christmas stories! In a delightful twist on the traditional Christmas tale, Charlotte and Emily, two courageous young sisters, set out to save Santa from his devilish twin, Bob Claus, who has absconded with Santa’s sleigh and has filled his toy bag with all sorts of disgusting “presents.” Each beautiful illustration features a hidden snowman that children will love looking for! Rudolph the Red-Nosed Reindeer by Robert L. May: In 1939 Robert L. May, a copywriter working at Chicago’s Montgomery Ward & Co., wrote a holiday story at the request of his employer. 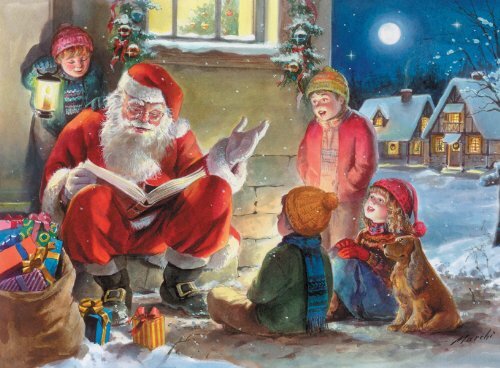 Almost two and a half million copies of the little tale about a reindeer with a shiny red nose were given away to all the children who visited Montgomery Ward stores that year. The rest is history. 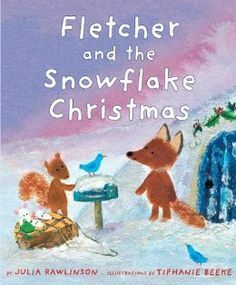 Fletcher and the Snowflake Christmas by Julia Rawlinson: At Christmastime, Fletcher the fox and the other forest animals lay a trail of sticks to help Santa find the rabbits’ new burrow. I had to include this story because Fletcher has to be the cutest and most inquisitive fox ever written into existence. Olive, the Other Reindeer by Vivian Walsh and J. Otto Siebald: Olive looks a lot like a dog but…she thinks that she is a reindeer. Knowing that it is the time of year when all reindeer help Santa Claus she decides to hop on a bus to the North Pole. Santa has a feeling that Olive is just what his sleigh pulling team needs. And he is right! Olive saves the night with her unusual ‘reindeer’ abilities; Olive is good at fetching sticks, smelling trouble and being sweet. Christmas with the Mousekins by Maggie Smith: All the highlights of a great December are here. The Mousekins pick out and decorate a tree. Make paper snowflakes with Nana Mousekin. Bake cookies for friends and neighbors. Write letters to Santa Mouse. Welcome carolers. Sled and skate and make a snowmouse. Share family stories of Christmases past. And find secret corners of the house to work on surprise presents for each other. You can celebrate along with the Mousekins – this book includes recipes for cookies, instructions for paper and felt crafts, and stories and poems to share with your family. The Spirit of Christmas by Nancy Tillman: Bells jingle, sleds dash through the snow, trees are topped with sparkling stars, and children everywhere dream of candy canes and presents. But the best gift of all – the most magical gift of the season – is when we spend Christmas with those we love. The Polar Express by Chris Van Allsburg: Since its publication in 1985, Chris Van Allsburg’s holiday classic has sold millions of copies and has come to signify the essential spirit of Christmas for countless readers. Readers young and old are sure to treasure this inspiring book, which brings to life the magic of Christmas for all who believe. 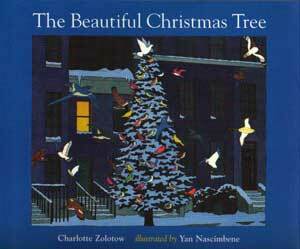 The Beautiful Christmas Tree by Charlotte Zolotow: In this timeless story Mr. Crockett teaches his snobbish neighbors that “beauty is as beauty does,” when he rescues a scrawny tree. With years of loving care, the little pine grows strong, bringing songbirds and new friends to a lonely old man. The vibrant color palette and fresh compositions of Yan Nascimbene lend a modern look to a holiday staple. Emmet Otter’s Jug Band Christmas by Russell Hoban: Both Ma Otter and her son, Emmet, hope to win the $50 talent show prize and surprise each other with a special Christmas present. Based on the memoir of real-life con-man Jordab Belfort. Available for checkout in our collection. The movie will release on Christmas Day. 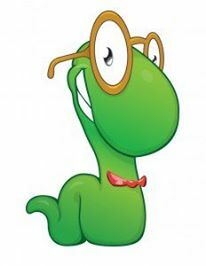 The Song of the Quarkbeast by Jasper Fforde: In an alternate United Kingdom, King Snodd aims to control the world by magic, and only sixteen-year-old Jennifer Strange, acting manager of an employment agency for sorcerers, stands between Snodd and his plans. Reality Boy by A.S. King: An emotionally damaged seventeen-year-old boy in Pennsylvania who was once an infamous reality television show star, meets a girl from another dysfunctional family, and she helps him out of his angry shell. The Royal Ranger by John Flanagan: Will Treaty is a shell of his former self, and his first apprentice may be the only one who can save him..
Confessions: the private school murders by James Patterson: Tandy Angel is, along with her brothers, a suspect in their parents’ murder but having grown up under the Angel’s perfectionist demands, Tandy decides she must clear the family name no matter what. Picture Me Gone by Meg Rosoff: Twelve-year-old Mila travels with her father to upstate New York to visit friends and family, who may lead them to clues to the whereabouts of her father’s best friend, who has gone missing. Allegiant by Veronica Roth: The faction-based society that Tris Prior once believed in is shattered–fractured by violence and power struggles and scarred by loss and betrayal. So when offered a chance to explore the world past the limits she’s known, Tris is ready. Steelheart by Brandon Sanderson: At age eight, David watched as his father was killed by an Epic, a human with superhuman powers, and now, ten years later, he joins the Reckoners–the only people who are trying to kill the Epics and end their tyranny. Unsouled by Neal Schusterman: At age eight, David watched as his father was killed by an Epic, a human with superhuman powers, and now, ten years later, he joins the Reckoners–the only people who are trying to kill the Epics and end their tyranny. Thunder Rising by Erin Hunter: The cats from the mountains completed their journey and have settled in the forest at the end of the sun trail. But tensions have reached a breaking point–and a young cat named Thunder is caught helplessly in the middle. Robert Goolrick’s first novel, A Reliable Wife, is a literary masterpiece I could not put down once started. The men in my family were deer hunting and the weather was a wintery mess of high winds and dry snow. The perfect setting to curl up on the couch and treat myself to the most well written novel of the year. Intoxicating to the last word. I didn’t know modern books could be this masterfully written! Wisconsin, autumn 1907, the wealthy Ralph Truitt placed an add in a Chicago paper, advertising for, “A RELIABLE WIFE”. Catherine Land responded, writing, “I am a simple, honest woman.” Her ultimate goal is to marry this man and slowly kill him leaving her a wealthy widow. Little does Catherine know that Ralph has a plan of his own. The bleak Wisconsin terrain is lush with adventure and suspense. This book would be a great Christmas present for any reader. We would love for our patrons to share a recent library read with us! Simply submit your review via this website’s Contact page found above and your review will be posted! While Saving Mr. Banks is not technically based on the book, the classic story of Mary Poppins is at its heart. “When Walt Disney’s daughters begged him to make a movie of their favorite book, P.L. Travers’ “Mary Poppins,” he made them a promise—one that he didn’t realize would take 20 years to keep. In his quest to obtain the rights, Walt comes up against a curmudgeonly, uncompromising writer who has absolutely no intention of letting her beloved magical nanny get mauled by the Hollywood machine. But, as the books stop selling and money grows short, Travers reluctantly agrees to go to Los Angeles to hear Disney’s plans for the adaptation. Both the books and the Disney classic film are available in our collection for checkout. 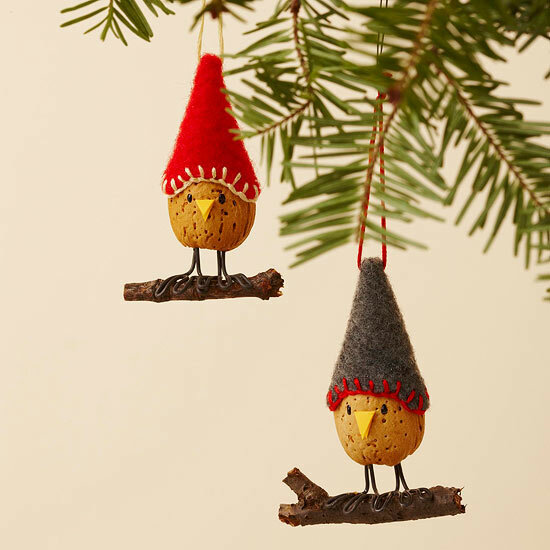 Here is a collection of ornament tutorials that may require a bit more dexterity and patience than some children can muster. So, all you crafty adults out there, be sure to whip one up and help us decorate our Charlie Brown Christmas Tree! We’ve received word that Santa will be making a special visit to the library during storytime this Thursday at 1:00 p.m., so be sure to bring your little ones in for the event!